Photofabulistic / Lacy Lewis Fine Art Photography will be hosted by Gallery 21 Art gallery May 28th thru June 9th. 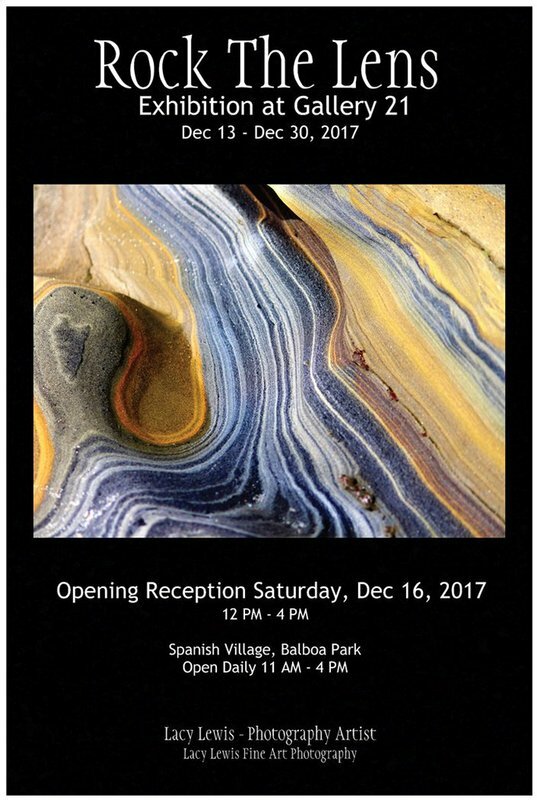 The solo exhibit will showcase the colorful and artistic abstract art created from digital photographs. 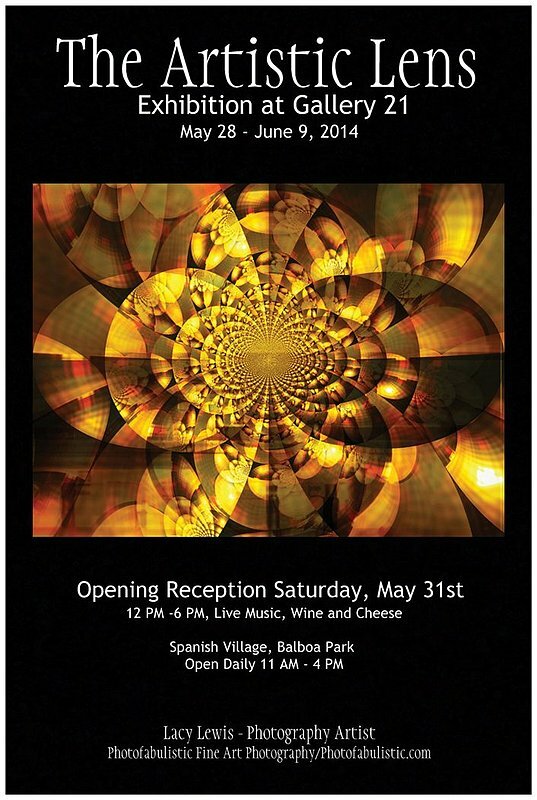 The Opening reception will be on May 31st from 12 to 6 PM. 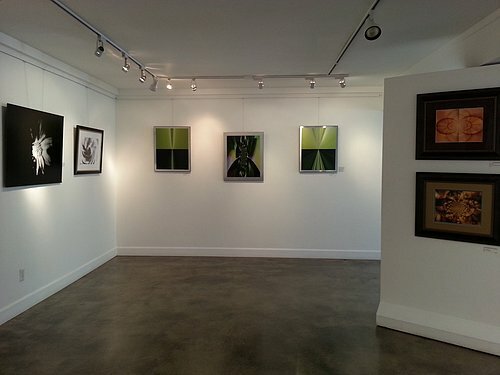 Gallery 21 will be open daily from 11AM to 4 PM. 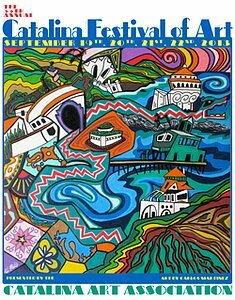 The Catalina Art Association presents the 55th Annual Catalina Festival of Art, September 20,21,22, 2013, one of the longest running and most acclaimed art festivals in California. Photofabulistic Fine Art Photography has been chosen to represent it's art in this year's prestigious event. I am so excited and hope I see some of you there. NTC a flagship civic and arts culture district , showcases San Diego's upscale creative community. 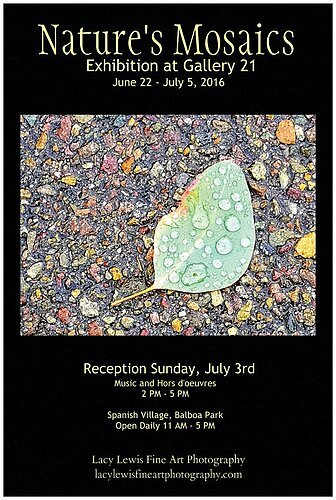 I was invited to share my art in one of their beautiful galleries. This was a wonderful experience and thank you to all of my friends who came out to support this event. Stay tuned for future event information.